Dreaming Of A Beautiful Woor or Composite Deck To Relax On? We specialize in the design and construction of custom decks. Building a new deck is a home improvement the entire family can enjoy. 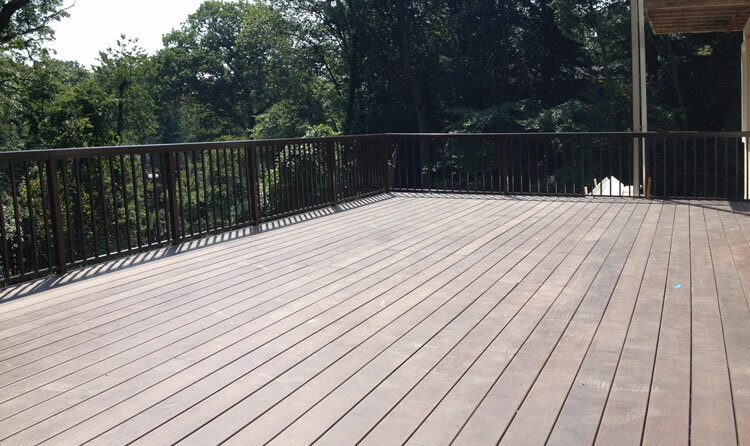 Maybe you have an existing wood deck on your property that is need of a rebuild out of a more durable and long-lasting composite material? Maybe you’d like to a deck around a new pool or to compliment your new backyard landscape? Whatever the reason, we’re glad you’ve found our website! 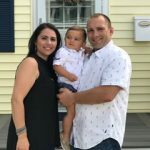 Craftsman Contracting is a full-service construction and carpentry contractor based out of Norwalk, CT. We specialize in the design and construction of custom decks made out of a variety of materials including wood such as Pressure Treated and Cedar or composite materials such as Trex and Azek. Whether you’d like a simple deck off the back of your home or a more complex multi-level or raised deck the team at Craftsman Contracting can help. If there was just one single exterior home improvement any Connecticut homeowner could make to their home, that would enhance both the look and property value at the same time, it would be the addition of a new custom built deck with new metal or vinyl railings. Not just any old deck will do however, and there are several things you need to consider before you get to work building your deck. That’s why choosing an experienced team like Craftsman Contracting is your best choice! Why Choose Craftsman Contracting For Your Custom Deck Project? Whether you’d like to build a new, large multi-level deck or just rebuild an existing deck that is no longer safe or fun to use. We at Craftsman Contracting pride ourselves on the attention to detail and quality of our workmanship that we invest into each and every carpentry project we work on. We’ll treat your project as if it were our very own, ensuring the highest level of quality in everything we do. A custom carpentry project like the construction of a new deck relies on careful planning, excellent communication between client and contractor, precision & accuracy, and the contractors ability to execute the plan without excuses. If you’d like to schedule a consultation to discuss building your custom wood or composite deck then give us a call (203) 642-3343 or fill out our contact form and we’ll get right back to you.